I have been thinking of writing about this topic for a long time, but have unfortunately never been able to put pen to paper because my own thoughts and opinions were not concrete – they were like freshly kneaded dough, and it’s only in the last month or so that I have been able to bake them into a proverbial cookie. Truth be told, there has never been a better time to identify as a Nihilist. In other words, Nihilism is the belief that nothing you do matters. 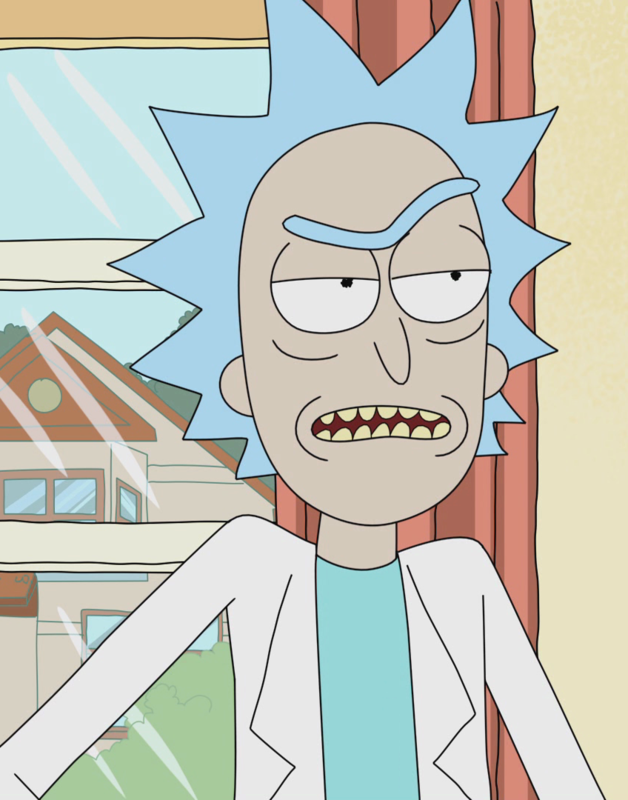 Rick Sanchez (from Rick and Morty) is one of the reasons why I am writing this blog post in the first place. He is Beth’s insanely clever father, whose blatant disregard for rules and social order is matched only by his capacity to drink endless amounts of alcohol. The ability to move through infinite realities has given Rick cynicism in huge doses, so much so that he does not consider anything to be worth his attention (not even his relationship with his family) because it is happening in “infinite other timelines”. At least that is the part of Rick that the show portrays, but more about him later. Aah – good old Tyler Durden! Fight Club is one of the cult movies of our generation, particularly because of the strong message it sends out – “It’s only after we’ve lost everything that we’re free to do anything”. Delivered in Brad Pitt’s standard nonchalant dialogue delivery style, the message has been ingrained in the minds of thousands of young people, who feel that giving up everything is the way to be “free”. There are others too, such as Joker from Nolan’s The Dark Knight (Some men just want to watch the world burn) and Agent Smith from the Matrix trilogy (Purpose of life is to end) who have very strongly emphasized the pointlessness of life on the big screen. So, what exactly is it that makes Nihilism as a philosophy so powerful? Note that whenever I say Nihilism, it also includes the general attitude of not caring about anything. Nihilism fits well with the modern world – By definition, Nihilism questions the very need for social order, societal structure and morality (among other things). When seen in a religious and social context, a lot of it makes sense, because many of our traditions and beliefs are outdated and hence are no longer valid in the current day and age. The caste system, unequal treatment of women, and racial discrimination are few of the many problems that stem from our hierarchical social system. Not caring is liberating – The other reason why Nihilism as a philosophy is quite popular, is because not caring about things gives you immense power and frees you, giving you back the control of your life and your thoughts. Worried about the job you might lose? Don’t care about it, be free from the stress! Worried about the guy who didn’t call you back? If you didn’t care, he would not be on your mind anymore and you would be free! But here’s a catch – the human mind is an interesting thing. Since it has developed thanks to thousands of years of evolution, it is particularly efficient in training itself into forming a framework of right and wrong, what to do and what not to do, all focused on one thing – your survival. If the mind sees one ideology or set of principles benefiting you in one facet of your life, it will seek to implement it in the rest of your life as well. If not caring about losing your job frees you from the worry that you might, you may then extend it to not caring about working at all, in which case you have lost your ambition and your desire to excel. If not caring about a recent heartbreak helps you mend those wounds, you run the risk of not caring about human interaction at all – because hey, we all know that relationships are no cakewalk.